Subscribe to NIGHT Owl News for news about upcoming events and new releases. Unwind in the intimacy of our 1905 bank vault surrounded by candles, velvet chairs, and beautiful stone walls. Thank you! Please note that your reservation is not confirmed until you receive a confirmation email from us. Join us at the tasting bar or find a table in the main bar area for a more social wine tasting. Celebrate confidently with NIGHT Wines. Whether your event is at home, at a destination of your choice, or held in our private event space, we’re here to help. We have three event rooms all located within The Saint Wine Bar in St. Helena, CA. Each are reservable for different party sizes. You can reserve all three (recommended for parties of 20-100 guests), or for fewer than 20, we recommend reserving our cozy cellar room. If your celebration is more intimate, we recommend reserving the vault room which comfortably seats 4 guests. Catering is available with any reservation in our event space. 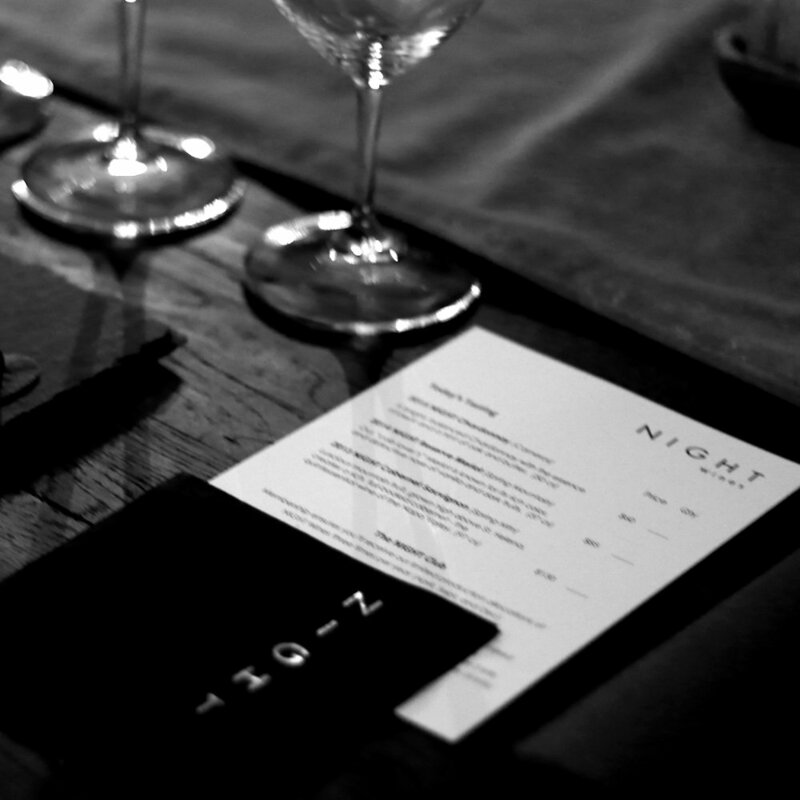 For lunch and dinner parties, we offer a custom menu, tailored to your needs. Our Cellar room can comfortably seat 14 people, although we can accommodate more if your guests don’t mind squeezing in. For larger parties, we also offer buffet-style meals and passed hors d'oeuvres. Tell us a little bit about your event. We’ll respond promptly with our availability and pricing.